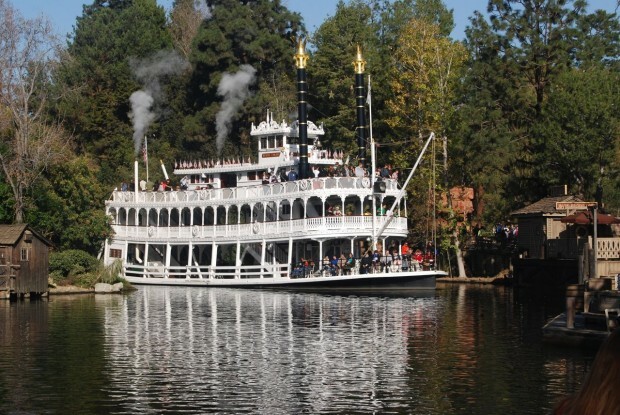 Disney announced today that the Rivers of America Area and Disneyland Railroad will close temporarily starting January 10. These closures are a part of the construction for the brand new Star Wars Land that we recently told you all about. The new Season of the Force event details were also announced today and look awesome. In an exclusive comment, Disneyland Public Relations confirmed that the above attractions will be closed for AT LEAST a year. They also said that the Rivers of America will just be partially drained. It is too early to tell how this will visually impact the entire area, but we know that the river will not be completely fenced along the perimeter. In other words, won’t have another Wall Street, like when Disney was finishing up Disney California Adventure. The Cast Members who have been displaced due to construction will all be offered roles in other areas of the Disneyland Resort. But, with both “Fantasmic!” and the “Aladdin the Musical Spectacular” closed, there will be quite a few performers and entertainment tech workers displaced. Maybe the new Frozen musical will hire some of them into developmental roles? What Do These Disneyland Closures Mean? These closures likely mean that the Rivers of America and the Disneyland Railroad will be heavily impacted by the new Star Wars Land addition. When the Indiana Jones Adventure was constructed, the water ways of the Jungle Cruise had to be altered to properly fit the new attraction. Perhaps similar accommodations are being made in the Rivers of America area. For quite a long time, there have been rumors of connecting Critter Country and Frontierland around the backside of the river. If they are finally going forward with this plan to create a path, then that would explain the long closure. In regards to the Disneyland Railroad, Adrienne over at Mouse Planet suggests that the construction of Star Wars Land may require a rerouting of the Disneyland Railroad. She questions whether they want to avoid using the same style of bridge and tunnel entrance that is used going into Toontown. This would make an already thematically rough transition from Frontierland into Star Wars Land more difficult. Perhaps they will either move the railroad in closer into the park or push it all the way to the outside of the new berm along the outer edge of Star Wars Land. Disneyland Public Relations has no comment regarding our speculation at this time. Now What? Share This Article! For more information on Star Wars Land, you need to read our complete guide and updates page. Join our discussion on Facebook and our newsletter for the latest updates. Well, from what I’ve seen it looks like the railroad will not go around star wars land it looks like it will be pushed into the park. Also rivers of America will loose 25% of the river and looks like the island will loose either 35%-50% of the island. It will be a big change but hey, at least we get to go in the death star?